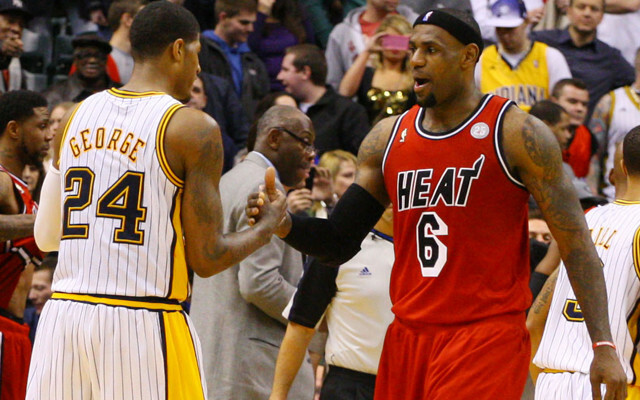 Yeah, this matchup was a problem that even the NBA had to address it. Today is the final day of 2013 and I’m going to do my year in review of the best and worst uniforms of the year. Unfortunately this year there will be no college sports involved (just way too much for me to cover). Let this be a history lesson for everyone to remember what worked and what should never happen again. To qualify for this list, the uniform element must be a new set that debuted and was used for in-game action in 2013. That’s pretty much it. Let’s go take a look at the list for National Basketball Association. 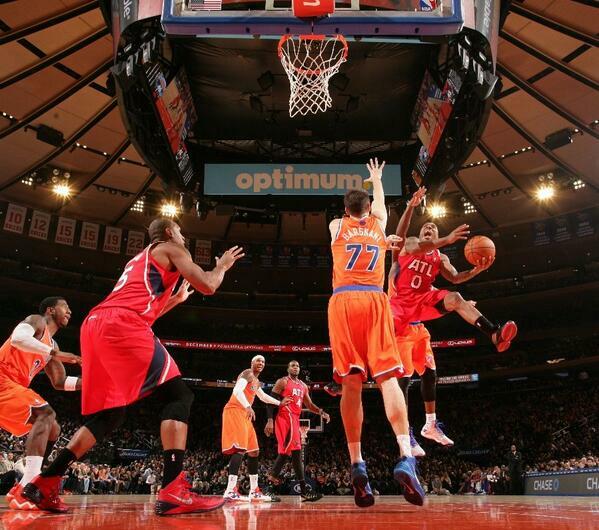 The Knicks’ orange uniforms are great. However, they don’t have a great winning percentage in them. The Knicks already have a much-improved new set that they debuted last season. However, adding this orange set makes it even better. 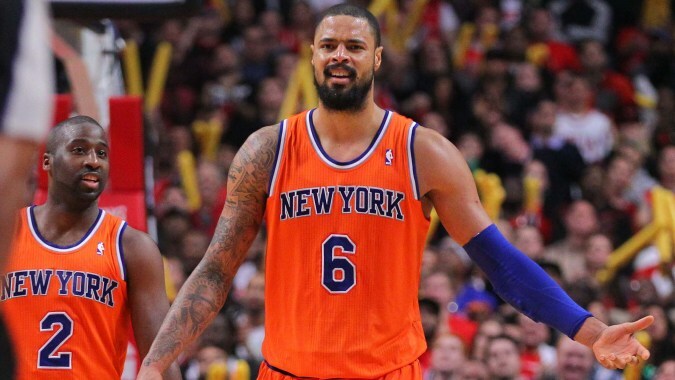 Orange to me is a greatly underused combination in the NBA and I actually prefer that the Knicks wear these. But they wear them too often and that’s overkill. MILWAUKEE BUCKS – Not their uniform, but their new floor. 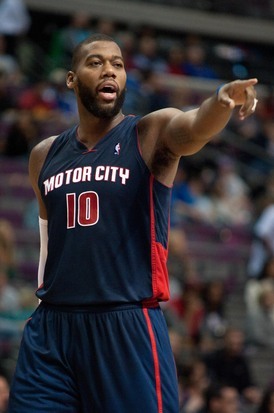 DETROIT PISTONS – It wasn’t necessary to add another blue uniform, but is designed nicely. DALLAS MAVERICKS – They will get a new uniform and asking fans to design one is great. The approach, however, was poor. NICKNAMES – For a one or two-time thing, I can dig it. They haven’t worn it yet, but it still is worth noting. What a confusing and lost identity. There was so much potential, but they missed it. The orange is too dominant when purple should be the highlighted color. 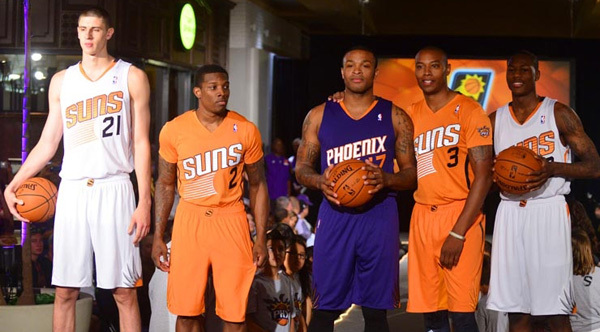 The almost sunburst on the jersey is unfulfilling. Oh, and sleeves. SLEEVES – NO! NO! NO! NO! NO! 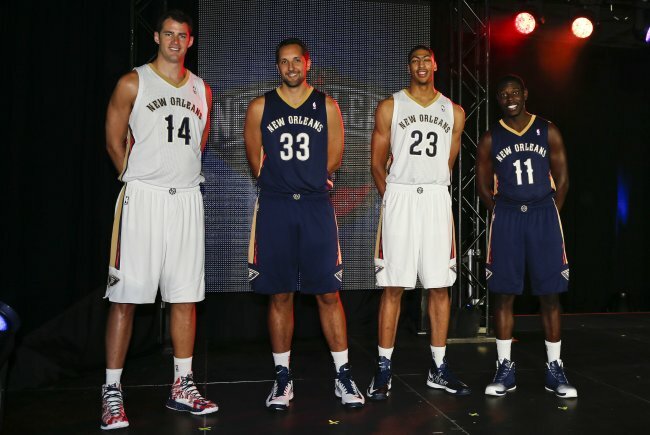 NEW ORLEANS PELICANS – Great colors, boring design. MIAMI HEAT – One of their 500 uniforms. LOS ANGELES LAKERS – Black is not one of your colors. So don’t wear it. SAN ANTONIO SPURS – Camo uniforms? You’re better than that. Take me back to the 1990s. I also liked this one. What other notable uniform, logo or any other visual changes this year did I miss? What did you like or hate? This entry was posted in NBA, Uniforms & Design and tagged Best and Worst Dressed, Year in Review. Bookmark the permalink.